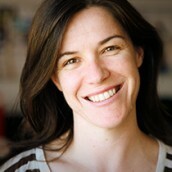 Mary Macrae is a Producer of Good Pitch² Australia. For Shark Island Productions she produced Suzy & The Simple Man and has co-produced Paul Kelly – Stories of Me, The Soldier and Stories From the Inside, made by the inmates in the maximum security prison youth unit at Port Phillip Prison, Victoria. Mary production managed the short dramas Polly and Me and Wall Boy made as part of the ongoing outreach and education campaign around youth homelessness, she was also a line producer and production assistant for The Oasis, and assistant for In the Company of Actors. She also enjoys working with the team developing the online components of Shark Island Productions and assisting in implementing the education and outreach strategies around documentaries. Mary is one of the impact team for The Hunting Ground Australia Project. Prior to working at Shark Island Productions Mary had a career as a Stage Manager in the theatre, working mainly in Sydney for Sydney Theatre Company, Belvoir Street Theatre, Force Majeure, Griffin and independent productions including CLOUDSTREET, HEDDA GABLER, MY ZINC BED, WAITING FOR GODOT and A CHEERY SOUL.